Board one of our 5 Stars Nile River Cruises to Experience the wonders of the amazing River Nile on a four, five or eight day Nile Cruise from Luxor to Aswan and explore the mysteries of Ancinet Egypt at the Karnak Temple, the Luxor Temple, the Valley of the Kings, the Hatshepsut Temple, the Edfu Temple , the Kom Ombo Temple, the Philae Temple, the Aswan High Dam and the Unfinished Obelisk with more exciting sites included. 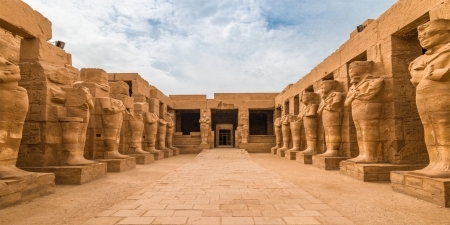 Book your Nile River Cruise Tour from Luxor to Aswan for a totally memorable and unique tour of a lifetime taking you back in time to the Ancient periods of Egyptian history. Fantasize of the glamour experience with Movenpick Royal Lily Nile Cruise is a 5 Star Nile Cruise vessel offering a unique opportunity to enjoy the beautiful scenery of the Nile. Experience the wonders of Nile Cruise Aswan Luxor with many different facilities such as Bedouin style seating, Rectangular pool with spacious sundeck, Gymnasium and massage room, and More! Movenpick Royal Lotus Nile Cruise is a 5 star deluxe Nile cruise vessel with 4 or 5 day Luxor Nile Cruise between Luxor and Aswan to visit the most amazing historical sites such as Karnak Temple, Luxor Temples, Hatshepsut Temple, and more. On the Royal Lotus Nile cruise children will learn and enjoy the Nile tours, whilst having time to swim in the pool on the upper deck of the Nile cruise boat. The Steigenberger Minerva Nile Cruise is a deluxe Cruise Vessel operating between Luxor and Aswan. The Steigenberger Minerva sails from Luxor to Aswan over 5 Days, Aswan to Luxor over 4 Days, and 8 Day round trip from Luxor / Aswan, then return. Our Nile Cruise gives you plenty of time for relaxation along with exciting tours enabling you to enjoy your wonderful Nile Cruise experience. With 77 cabins (73 double cabins, 2 single cabins and 2 suites), there is ample choice for all to enjoy the delights onboard whilst sailing the Nile with more Temples enroute along with the sights and sounds of Luxor and Aswan. Our lovely MS Nile Goddess Nile Cruise Ship is a 5-star Deluxe Nile Cruise offering 5 days Luxor / Aswan or Aswan/ Luxor round trip, 4 days Luxor to Aswan, or 4 days Aswan to Luxor, Upper Egypt. Guests wishing to thoroughly relax and enjoy an unforgettable Egypt River Cruise journey. It features 53 Cabins consisting of 47 Deluxe cabins approximately 19m, 2 Senator Suites 30m and 4 Presidential Suites 32m. MS Amarco Nile Cruise 5 Star provides 5 and 4 day Egypt Cruise tour from Luxor to Aswan or Aswan to Luxor. A vessel giving you lasting memorable Nile Cruise experiences, it was awarded " Best Boat on the Nile" receiving a Golden Crystal Award for two consecutive years. MS Amarco Nile Cruise has 45 standard cabins approximately 21m, 2 Presidential Suites 27.20m, 2 Royal Suites 52.20m and 4 wheelchairs accessible Nile cruise cabins 26m. MS Mayfair Nile Cruise is one of the most elegant ‘Art Deco’ stylish 5 Star deluxe Nile Cruise. Mayfair Nile Cruise features such as sauna, top deck jacuzzi, sun lounger beds along with 52 Cabins including 2 Presidential suites with Balconies, 2 Single Cabins, 8 Executive cabins with Balconies. 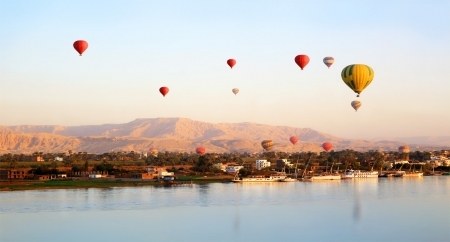 Cruise the majestic river Nile in ultimate luxury aboard The Oberoi Philae Nile Cruise. Discover five thousand years of Egyptian culture on a leisurely 4 and 6 nights nights itinerary from Luxor to Aswan. The Oberoi Philae Nile Cruise Boat offers personalised service, spacious luxury cabins, exquisite a la carte cuisine and private massage therapy rooms to make your Nile cruise experience in Egypt truly memorable. Sonesta Moon Goddess Nile Cruise is one of our 5-star luxury Sonesta Nile cruise ships and offers 3, 4, and 7 night Nile cruise trips between Aswan and Luxor with 49 Deluxe Cabins ( 23 mq) and 4 Presidential Suites(32 mq). Pamper yourself in style on The Oberoi Zahra Nile Cruise Egypt with all of the delightful amenities and service with style. Choosing to sail on board the Oberoi Zahra Nile Cruise from Luxor to Aswan or vice versa including all of the famous sites of Luxor including the Valley of the Kings and more enthralling Temples whilst sailing along the picturesque Nile, and the colourful world of the Nubians in Aswan including tours such as the Sound and Light Show at Philae Temple and more. A truly memorable experience on the Oberoi Zahra Nile Cruise. Delightful Spa facilities onboard the Oberoi Zahra Nile Cruise. 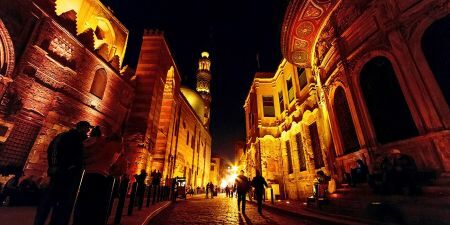 A totally unique and historical journey back in time on this 13-day journey from Cairo to Luxor including 5 Star Hotel and Nile Cruise Boat. Visiting one of the 7 wonders of Ancient Egypt, that of the Giza Great Pyramids, Temples such as Dendera en route whilst sailing through Cities before reaching Luxor to see the Valley of Kings and the 2 famous Temples of Luxor with plenty of relaxation time to enjoy the beautiful scenery of the Nile Valley along the way. Relive the ancient Nile River journey of the Pharaohs on this amazing 15 Day Nile Cruise from Cairo to Aswan in the fascinating country Egypt. The 5 Star luxury contemporary style MS Darakum Nile Cruise Boat sailing between Cairo, Luxor and Aswan for 2 weeks is the perfect opportunity to discover some ’hidden treasures’ in Egypt visiting Temples such as Abydos and Dendara and including the Temples and Tombs in Luxor along to Aswan, the Pyramids in Cairo and more. Relax on the MS Darakum in style and comfort. 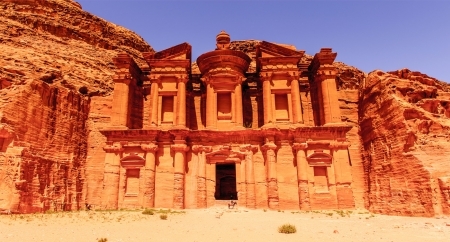 Sanctuary Sun Boat IV Nile Cruise Luxor to Aswan takes you in the ultimate lap of luxury in Egypt. Its interior and design are that of ambience and rich taste with comfort and luxury in mind. With 3 and 4-night cruises between Luxor and Aswan the stylish surroundings with 5 decks will cover all of the most important Ancient sites in Luxor and Aswan and along the Nile. A truly Luxurious Nile Cruise experience in Egypt The Sanctuary Sun Boat IV Nile Cruise has 2 Royal Suites (55M²), 2 Presidential Suites (38M²) and 36 standard cabins (18M²). Take a trip back in time with a cruise down the Nile on a historic steamship. Enjoy the luxury and leisure on board Mövenpick SS Misr Steamer Nile Cruise. 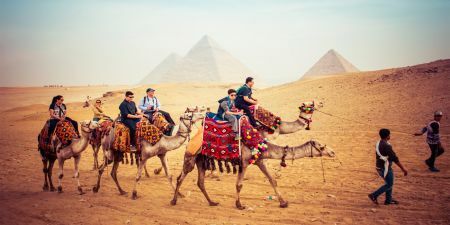 Visit the Great Pyramids, Famous Sphinx and Valley temple, Solar Boat, Old and Islamic Cairo then Cruise the Nile between Luxor and Aswan Visiting the best attractions. An All-Suite luxury stylish modern Nile River Cruise 2018, all suites have terraces. 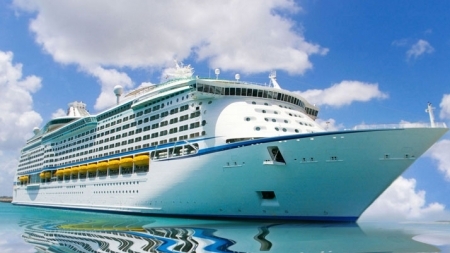 Sonesta Star Goddess Nile cruise ship features 33 suites including 4 Mozart Suites 35m, 27 Beethoven Suites approximately 40m and 2 Chopin Suites 52m, each suite has panoramic windows opening to a private terrace. The Sanctuary Sun Boat III Nile Cruises in Egypt, is a delightful addition 1930’s Luxury style design and ambience. The Sanctuary Sun Boat III Nile Cruise has 3 and 4 night cruises Luxor to Aswan / Aswan to Luxor in splendid comfort and colonial yet modern surroundings with 4 decks, taking in all of the most important Ancient sites in Luxor and Aswan and along the Nile. A truly Luxurious Egyptian experience. The Sanctuary Sun Boat III Nile Cruise has 14 standard cabins (17M²), two royal suites (36M²) and two presidential suites (29M²) and 4 Decks in which to relax, eat and enjoy the Nile views. Sonesta St. George Nile Cruise Luxor Aswan. A luxurious Egypt Nile cruise vessel, one of the most elegant Nile cruise ships on the Nile and the newest ship of the Sonesta Nile cruises in Egypt. With a total of 57 cabins offering different requirements, this Nile cruise has all the delights of your wonderful Egyptian experience, 47 Cabins approximately 22m,9 Presidential Suites 44m and 1 Royal Suite 66m.